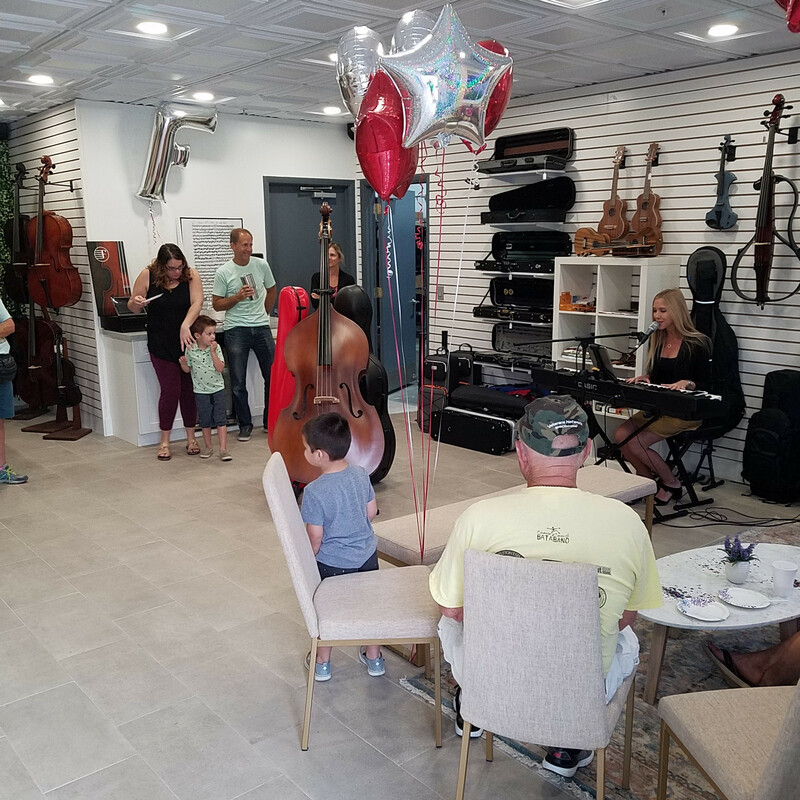 For those of you not able to make it last weekend, here are a couple of pictures from Fiddlershop's grand opening on Saturday. Quite a nice place and so good to have a shop that caters to string-ophiles here in south Florida. Jimmie was waiting for me to get out of the front doorway so he could take some pictures. Thanks for the photos. Wish it was driving distance from us. 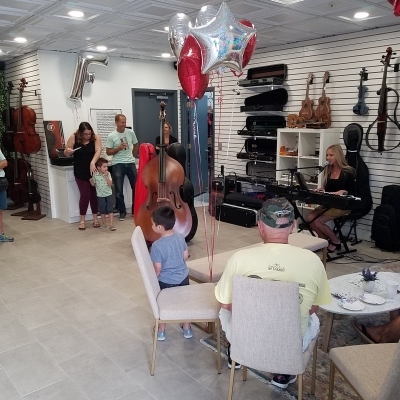 Congrats on the GO! I am going to try and visit my brother in Florida next Winter. He goes down for the Winters. 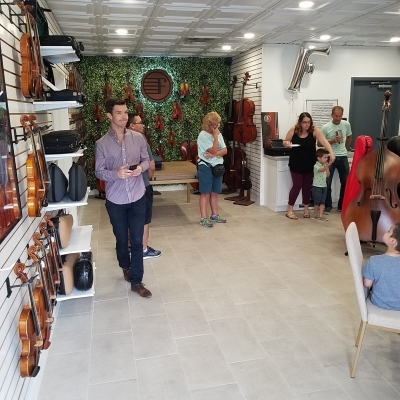 A visit to Fiddlershop will definitely be part of the trip! Thanks for the post Pat. It was great seeing you again. Looking forward to seeing you next winter Jim.